If you learn that someone in your family has head lice, you might not be sure how to handle it if this is the first time it’s happened. As a parent in the Port Salerno area, you should know about our lice removal service at Lice Lifters of Palm Beach Gardens. We have experience at handling this problem safely and effectively for families just like yours. To find out more about our lice clinic or to set up an appointment with us, please fill out the contact form on this page. The secret of our success at lice removal is our process. 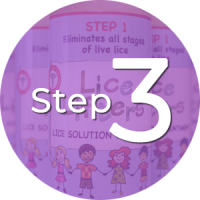 We follow a series of steps and utilize products that, taken together, are designed to ensure you leave our lice salon free of this problem in one visit. 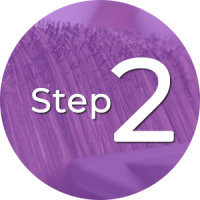 We’ll start by doing a combing head check to verify that you or any family members have head lice, and then we use a special comb to do a comb-out to remove them. Our certified lice technicians then apply an all-natural killing agent to ensure any remaining lice or nits are dead. We can’t do anything for you until you come to our lice clinic. We’re close by if you’re in the Reading area, and we have a kid-friendly atmosphere. 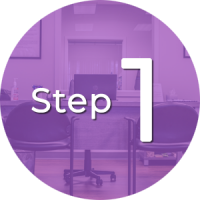 This is the step where one of our experienced lice technicians physically removes as many of the lice and their nits, or eggs, as can be seen. This step is the icing on the cake of ensuring the problem is handled. We apply our all-natural killing agent that’s 99.9 percent effective at killing lice and nits. At Lice Lifters of Palm Beach Gardens, we offer fast and effective service with a smile. The kid-friendly environment provided at our lice clinic is inviting for the whole family, and there’s plenty to do while you wait for your treatment. You can also be confident you won’t find a better lice treatment than what we offer. Don’t waste your time and money on over-the-counter products or home remedies that are notoriously unreliable at getting rid of this problem. Our all-natural, non-toxic products mean you can have peace of mind as a parent. All the steps and products in our process are safe, and we guarantee our treatment. Our process utilizes a killing agent, which mobile services lack. Our friendly and certified technicians put you at ease as a parent. Our lice treatment is so good, it’s recommended by many pediatricians and school nurses. Our experienced and compassionate staff are ready to serve. A head check to detect lice and nits and a thorough comb-out to remove them. Simple post-treatment instructions for you to follow. We educate you on how to prevent this problem again. We have movies, snacks, cable TV and a play area for your family while awaiting treatment.